1. The boys' state basketball tournament is this week. However, the band will not attend games until 3rd round, which is Friday. IF the boys win the first two games, call time for those students on the approved state pep band list will be at 3:45 at the high school, on FRIDAY. Buses will transport the students to the U of U for the game. You'll get another email/Remind text if the team goes to the 3rd round. 2. For Varsity Jazz Band Members: Region Jazz Festival is Thursday, March 1st! Varsity Jazz Band students will be excused from 4th period that day to prepare for this event. 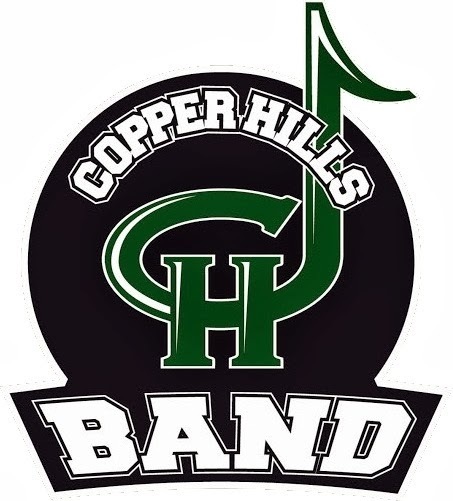 If you'd like to watch them perform, they play at 4:00 pm at Herriman High School. Buses should be back to the school around 5:15 pm. Please remember that Disney will only allow the students, Mr. Matthews, Mr. Barton, and the 4 official chaperones to go backstage. If your family will be in California and would like to also go to this show, please respond with the number of tickets you'd like and your student's name by Wednesday! Cost is $44.00 per person. Fees will be added to individual student's Skyward accounts. The itinerary has been updated and is under the Forms and Information tab. Turn in Travel Consent and Insurance Info form if you haven't already done so! Please let Mr. Matthews know if you cannot make it to either game! If you did not attend the meeting on Thursday, please make sure you turn in the Travel Consent and Insurance Form ASAP. You can find the form on this blog under the Forms and Information tab. You will need to get the form notarized and make a copy of your insurance cards before turning it in. Cheryl Brady in the attendance office is a notary. Otherwise, you can find notaries usually at your bank. This paperwork has to be turned in to the administration no later than a week before the trip. Please turn it in ASAP. You're child cannot go on the trip without it. We went over the Disney policies, as well. Basically, our children need to promise they will be on their best behavior, dressed appropriately, and not bring any illegal substances into the park. They also cannot bring glass bottles in. We are encouraging the students to bring water bottles, just make sure they are not glass. No sandals, flip flops, sunglasses, or hats. We want to look as professional as possible. There are a handful of students who haven't paid anything on their tour fees. Please get caught up on your fees. On the day of departure, we will exclude any students who have nothing paid on their fees. When: Friday, March 2nd, 2018 Noon to 5:00 p.m. Clarinet Concert at 7:30 p.m.
Saturday, March 3rd, 2018 8:30 a.m. to 6:30 p.m.
All product from the Lehi Roller Mills fundraiser will be available for pick-up on Monday, Feb. 12th from 2:30-3:30 pm in the band room vicinity. Those students participating in the Disney tour rehearsal that day can take theirs when they're finished with rehearsal. Since product is frozen it MUST be picked up. We have no way to store it.